I’m 23, married, and I am a Peer Support Worker. I met Aimee through the Ivy Centre for Recovery Knowledge where I work one day a week. 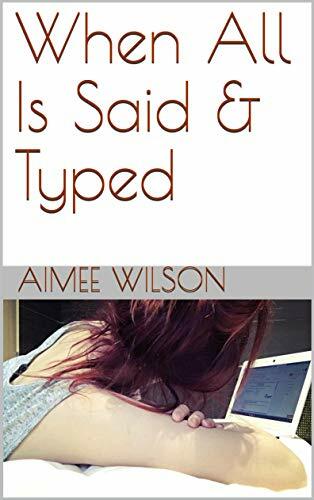 I was actually introduced to Aimee’s blog by a colleague, before even meeting her in ‘real life’ and being an avid bookworm of online blogs, I immediately read every single entry, and was inspired by her. Aimee is facilitating a course at the Recovery College in the Spring/Summer Term 2015 focused on blogging, and Aimee has kindly agreed to let me co-facilitate with her, which I’m very much looking forward to. 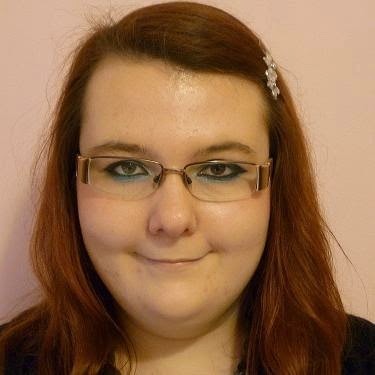 Aimee offered me the chance to guest blog which I really appreciate, so, I thought I’d give you all a brief insight into my background and how I came to become a Peer Support Worker. I grew up in a little village in Leicestershire – I have two very loving parents and an incredibly supportive younger sister. Primary school was great…I was the tallest, the biggest, but, I had some friends so I couldn’t really complain too much. Secondary school was…different. I don’t particularly have one single traumatic experience; it was more a series of little things that spiralled out of control. I had some ‘friends’ who weren’t too healthy for me, although of course at the time, I didn’t see this. I was 14, happy at home, happy with having met someone online, but I was easily led, and over time, along with them, I spiralled into a dark depression. I began self-harming at the age of 14; when my parents discovered this, they were understandably upset and confused, but they understood that I needed help, and I recognised this too. At the time, the waiting list for the children’s mental health service was ridiculously long, and, it sounds morbid, but I, and those around me, didn’t know if I had that long. So, my Doctor referred me to a private child Psychiatrist. I saw this Psychiatrist 1-2 times a week for almost four years. For the first year I said nothing – I went into his room, sat there, staring at my feet, and picking at my fingers, and then when the hour was up, I left! I’m not sure what led me to this decision, but after a year of intense sessions, I decided that I didn’t want to do this anymore; I knew I had to start trying. It took a while, but with CBT sessions every week, I started to improve – I didn’t want to lose the game of life anymore. I had recently graduated from the University of Sunderland with a 2:1 BA (Hons) Sociology degree and I was ready to live my life. I had recently become engaged in February 2012 to my boyfriend, and I was excited about life. However, the only downside was that I had no job and no idea what I wanted to do. I was unemployed for almost 9 months, during which, I kept on receiving rejection after rejection, and it was soul destroying. I was starting to fall back into obsessive behaviours, but then, one day, I was casually searching for jobs online and saw that NTW were advertising for Peer Support Workers. I immediately wrote my personal statement, detailing my experiences with depression, anxiety and self-harm and sent it off, hoping that I would get some form of reply. In early 2013 I was ecstatic to find that I had been offered an interview. The experience was good... I was honest, as I would always have been, and I felt it went well. A day later I received the phone call I felt like I had been waiting for, for months! I had been offered the job! 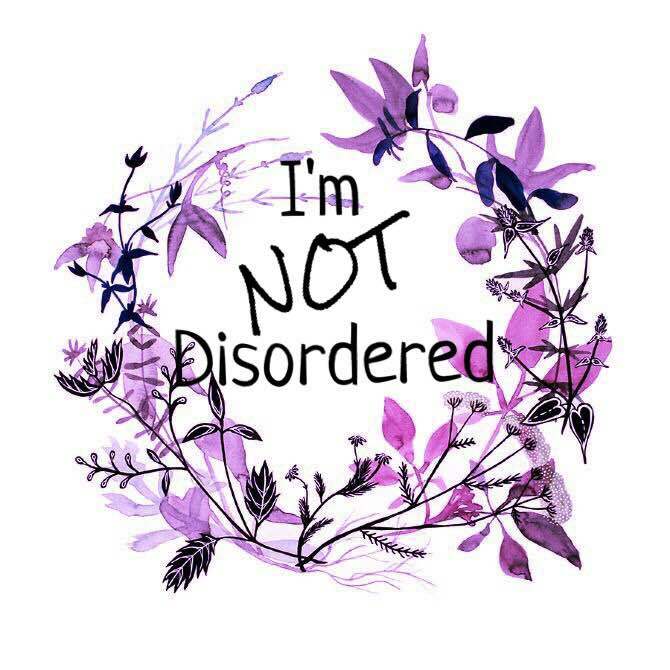 I have been in my Peer Support Worker post for 1 year 8 months. I have had some fantastic opportunities since starting, and I hope to have many more in the future. work in a recovery focused way, offering my experiences of mental health and recovery to support them in their recovery journeys. I use an array of recovery tools including: Wellness Recovery Action Plan (WRAP), Recovery Star/Empower Flower and SWEMWBS to support them. It is a very interesting, inspirational and rewarding role. For the first time I feel I am able to positively use my experiences of mental health to help others. I currently work in the Sunderland Psychiatric Liaison Team (#NTW_SPLT) which is based in Sunderland Royal Hospital. No day is the same, which I thoroughly enjoy. I am privileged to work amongst some brilliant people and value opportunities of working with individuals who perhaps need a little inspiration to begin or maintain their recovery journey. It sounds cliché, but if I had someone like a Peer Support Worker whilst I was very ill, I sometimes think that I may not have become as ill and may have improved quicker. Outside of work, I am incredibly passionate about music…along with my family, husband and mental health professionals; I really do owe a lot to music. I have wrote my own songs and music since I was 12, and over time, as I became more confident with playing the piano, I have performed particular songs to the public (eek!). Writing songs is incredibly therapeutic and something that I know I will always enjoy doing – it has helped me so much in my recovery. Being involved with mental health is extremely important to me. When I was a teenager, my Psychiatrist told me I could be anyone, do anything I like…I didn’t know then that I would be working in mental health though. My role helps combat stigma surrounding mental health. My role shouts from the rooftops that you can move on and you can get better, and, most importantly, you can live a good life. I still have days where I am low, where I am drawn to old, destructive behaviours and you know; sometimes, I need to take some time out and reflect on who I am and what I’m doing, but this is a strength. I am now strong enough to recognise when I’m faltering, and I am brave enough to tell someone that I need some space, that I need some ‘me’ time. I am involved with the Royal College of Psychiatrists as a Service User representative in the Liaison Psychiatry Faculty meetings. My involvement proves to me how much society has changed over the past 10-20 years. Past, present and current service users are being offered opportunities to become involved with important meetings and formulations of new and upcoming projects all across the country / world – we have the chance to be heard and we should take it. I am constantly pushing for better services for young people who have mental ill health. YoungMinds participate in some brilliant pieces of work to raise awareness of mental health in young people, fight for equality, and banish the stigma and taboos surrounding mental health. We should be doing this! I have been very privileged to be involved with their Young Leadership programme – there I met some brilliant people and was overwhelmed by the amazing work they do for young people. Please visit their website for more information; it may just be the saviour that you or a friend/family member needs. Thank you for having me Aimee!